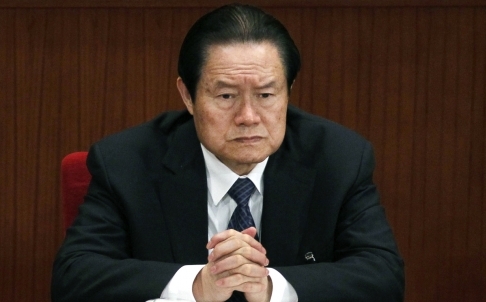 (TibetanReview.net, Aug20, 2014) –Party General Secretary and State President Mr Xi Jinping may have consolidated power at the centre with the announcement Jul 29 of corruption investigation against former Politburo Standing Committee member Mr Zhou Yongkang. However, the hidden force of Zhou is not weak, the power struggle is still intense, and Xi needs all the support he can get from local leaders. But that support has been slow in coming from some provincial-level party committees, said a scmp.com report Aug 19. Party leaders in some provinces had been puzzlingly slow to publicly declare their support for the decision to investigate Zhou, the report cited some analysts as saying. Hunan, Hubei, Yunnan and Beijing conveyed their support on Jul 29 itself. Shaanxi and Guizhou met to consider the party’s decision on Jul 30 but published their support only the next day. “They might have met early, but that doesn’t mean they reached an agreement. They could publish the news only after everyone was on the same page,” Hu has said. On Jul 30, 15 provinces and autonomous regions met to study the decision and also provided their backing. And on Aug 1, the Army Day, five more provinces voiced their support. Qinghai province became the last of the 31 provinces to publicly support the Communist Party’s decision to investigate Zhou. Its party committee met only on Aug 2, four days after the corruption investigation against Zhou was announced. But the province’s main news outlet – qhnews.com – didn’t release the announcement of the committee’s support until the next day, the report added. Also, on Aug 17, China’s official Xinhua news agency said Fan Changlong, vice chairman of China’s Central Military Commission (CMC), had asked the army to firmly obey the command of President Xi and the Communist Party of China (CPC) Central Committee while inspecting troops serving in Tibet and Qinghai during the week. He was reported to have asked all military officials to uphold the correct decisions to investigate Zhou and punish Xu Caihou, former vice-chairman of the military commission, which is now chaired by Xi.